A team of biochemists and biophysicists reports that a computer-guided algorithm may help scientists find the right place to split a protein and then reassemble it to functionality. They add this could be another step toward using chemical and light signals to create new medical treatments and biosensors. The team published its study (“Computational design of chemogenetic and optogenetic split proteins”) in Nature Communications. “Controlling protein activity with chemogenetics and optogenetics has proven to be powerful for testing hypotheses regarding protein function in rapid biological processes. Controlling proteins by splitting them and then rescuing their activity through inducible reassembly offers great potential to control diverse protein activities. Building split proteins has been difficult due to spontaneous assembly, difficulty in identifying appropriate split sites, and inefficient induction of effective reassembly,” write the investigators. In the past, researchers found that they could split proteins using light and chemical signals, but finding the precise spot to make the split was a matter of trial and error, which would not be practical for actual medical treatments and scientific procedures. The process to split a protein is a little like splitting an apple, but when people split apples they usually don't have any intention of reassembling the pieces back into a healthy apple, according to Onur Dagliyan, Ph.D., research fellow in neurobiology, Harvard Medical School. Dr. Dagliyan worked with Dr. Dokholyan and Klaus M. Hahn, Ph.D., Thurman Distinguished Professor of Pharmacology, University of North Carolina-Chapel Hill, on the study. “In this particular work, we tried to establish design principles on how one can look at the structure, or sequence of a protein and identify the sites that enable this splitting and reassembling,” says Dr. Dagliyan. To find the best sites for protein splits, the researchers analyzed how several proteins were split in the past and used that data to create a mathematical model of the protein's structure, or physical scoring model. The model, then, gave the researchers the ability to find spots that had the best odds for a successful split. 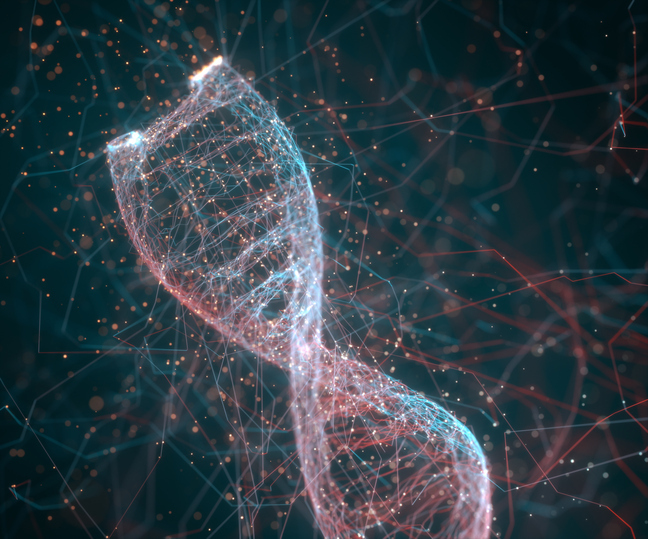 The researchers used the algorithm to identify split sites on a number of proteins, including tyrosine kinase Lyn, guanosine nucleotide dissociation inhibitor, and guanine exchange factor. The ability to split proteins—and then make them functional again—could have far-reaching implications, note the researchers. The team, for example, could see future uses of this technique in therapies such as CAR T-cell therapy. In CAR T-cell therapy, doctors take patients' immune cells from their body and modify them to kill abnormal cells, like cancer cells. Doctors then reinject these modified cells into the patients. “If we want to deliver something—an engineered cell, or stem cell, or engineered bacteria cell, for example—to a body for therapeutic purposes, we might not want them to be active all the time,” says Dr. Dagliyan. “You want to turn them off and turn them on, and people in the field are trying to find ways to control those proteins, just to be able control those cells. So, that's one possibility that might be looked at,” adding that the process could be used to attach biosensors to proteins that could then be used to help identify not just the behavior of one protein, but how networks of proteins operate. Splitting proteins would be another tool for medical researchers, says Dr. Dokholyan, who adds that his laboratory has helped to developed optogenetic and chemogenetic signaling of individual and groups of proteins. The researchers have posted the program online at spell.dokhlab.org. “This is a tool that basically automates the process, so that it won't help us control just one protein this way, but it will become a whole platform—and this platform is now available for scientists worldwide,” says Dr. Dokholyan.